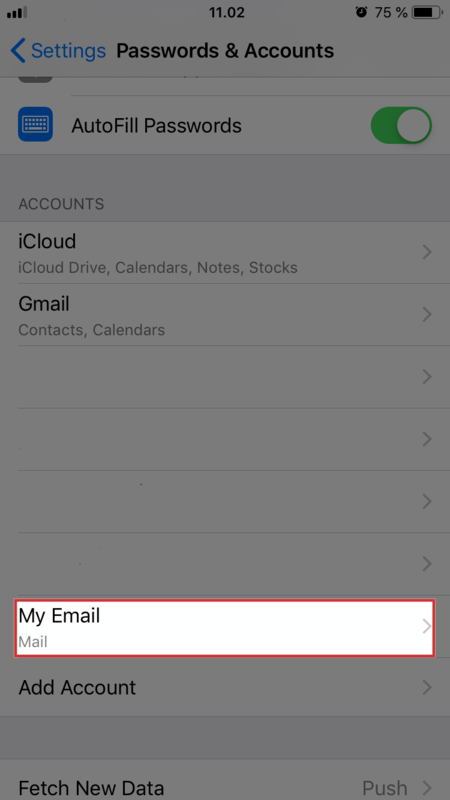 Please follow the instructions below to perform the changes in your iPhone with iOS 12. 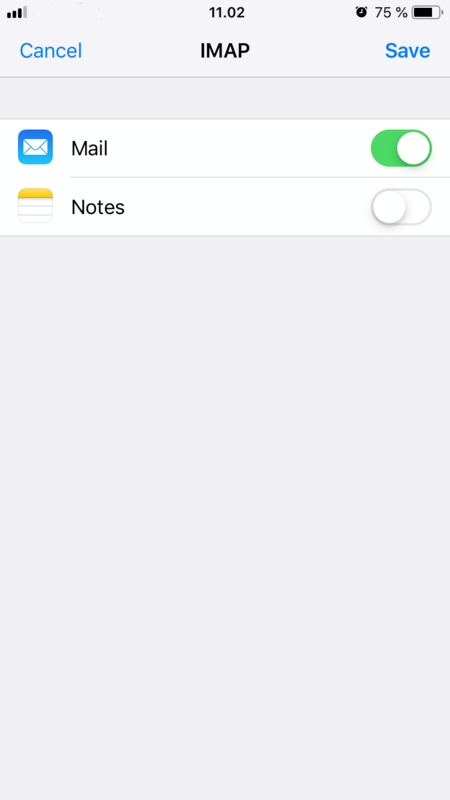 From the Home screen go to Setting. 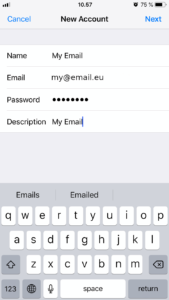 Next choose Passwords and Accounts. 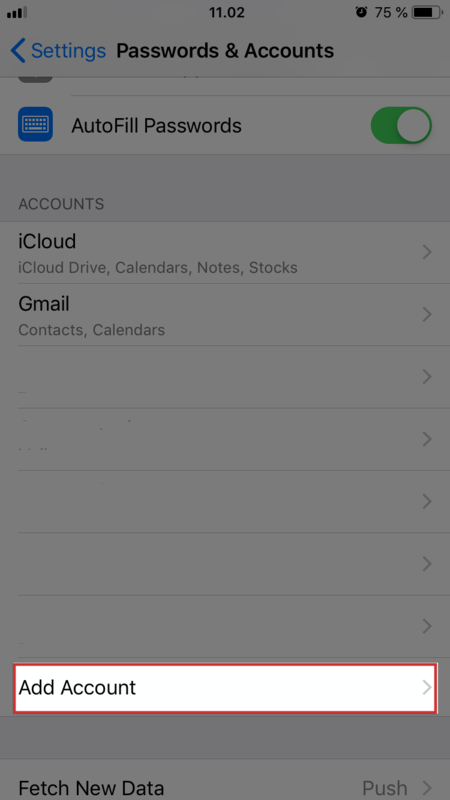 In Accounts section choose Add Accounts. 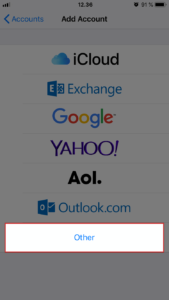 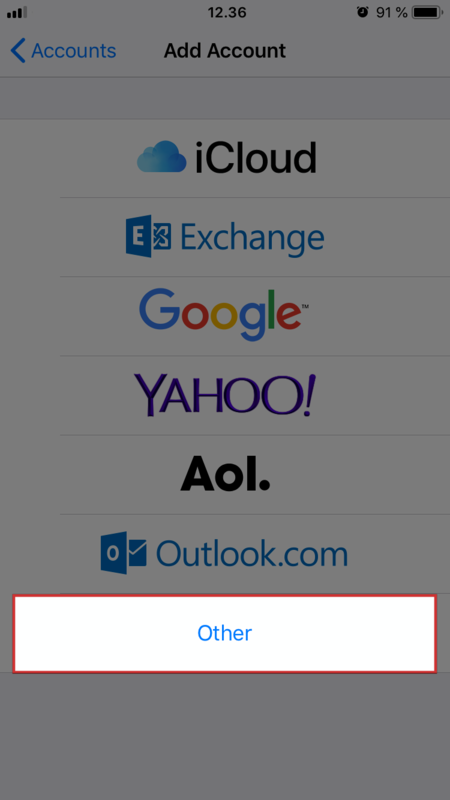 In the Mail section, choose Add Mail Account. 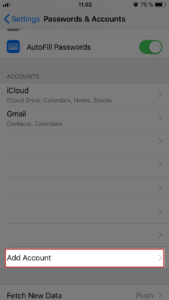 Log in to your account using your account credentials. 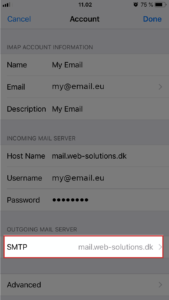 Enter your account details to both Incoming and Outgoing Mail Server sections. 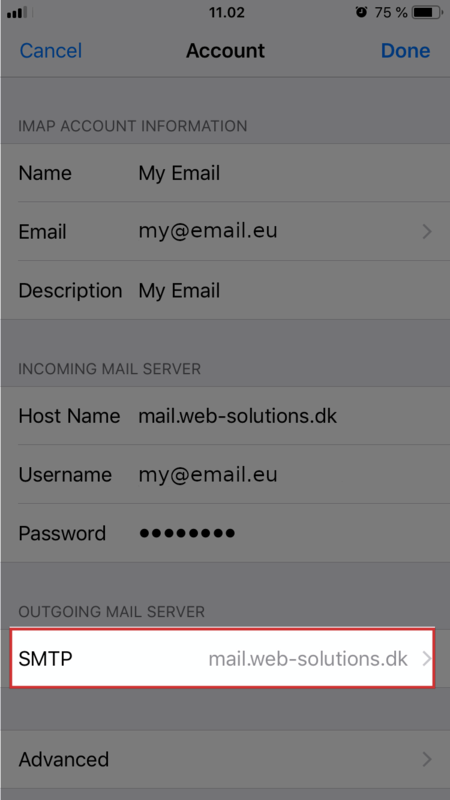 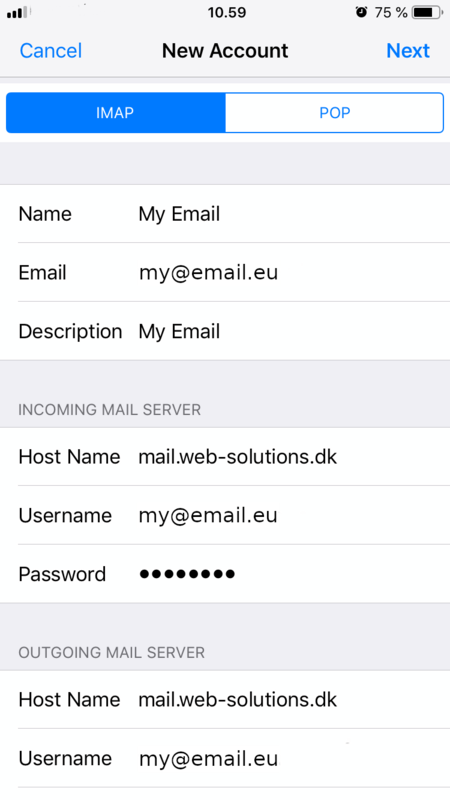 We strongly suggest using mail.web-solutions.dk access domain, which will work properly with SSL enabled – default setting on the iPhone. 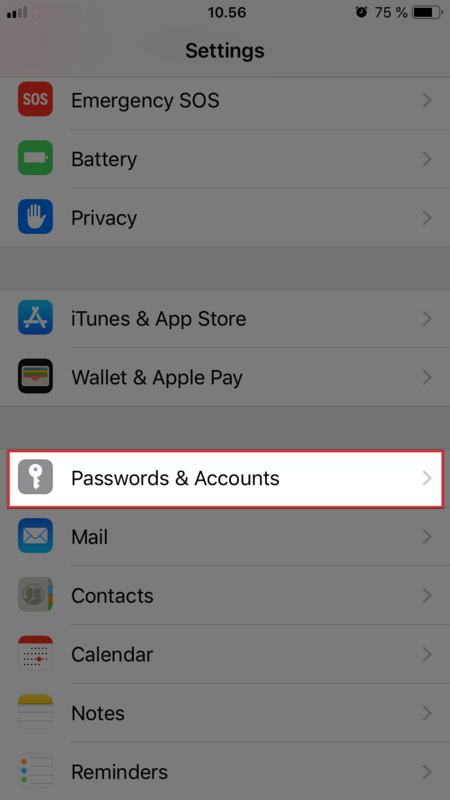 If you forgot your password, visit our FAQ site. 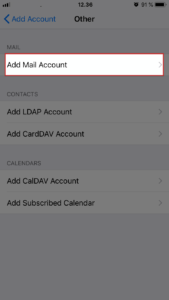 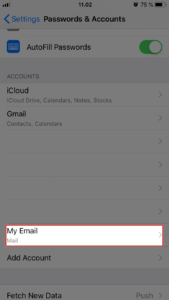 Make sure you have chosen IMAP option and tap Next to save information. 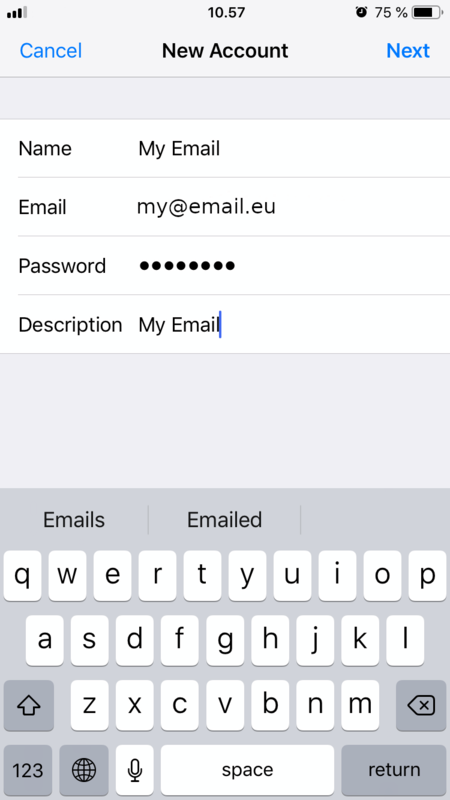 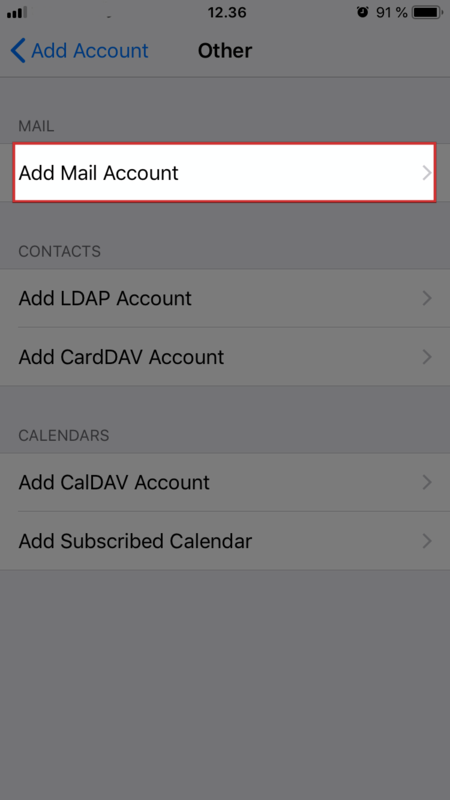 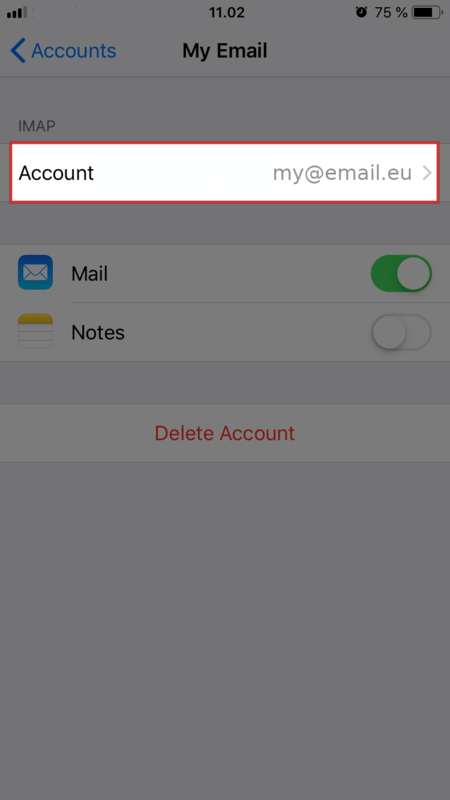 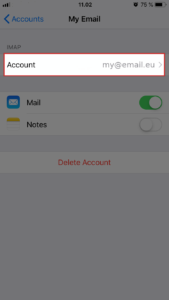 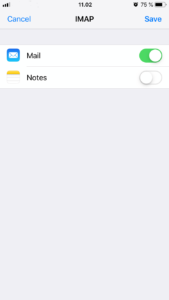 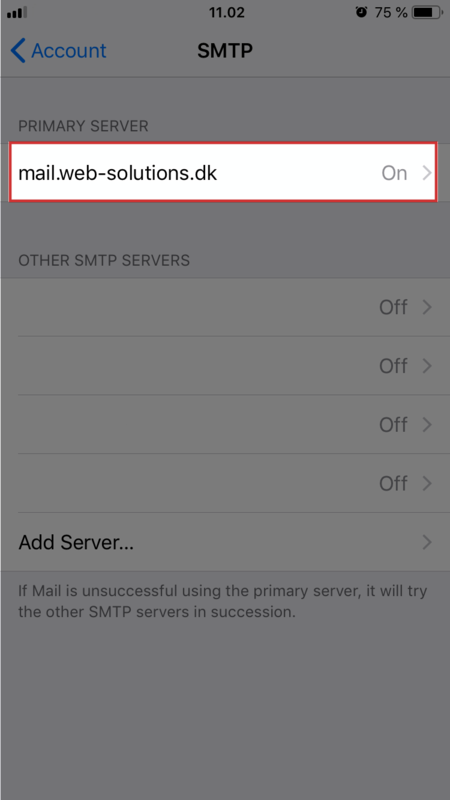 Choose Mail option for IMAP and Save settings. 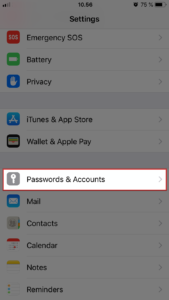 Proceed again to Settings, tap Passwords & Accounts and choose your account from the list. 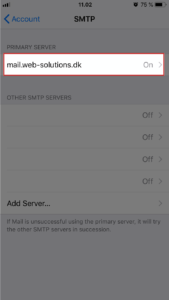 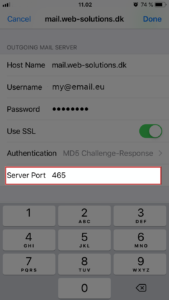 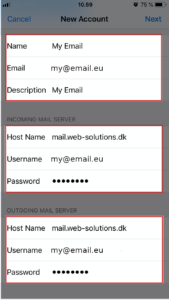 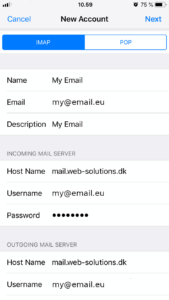 Tap SMTP, than from Primary Server section choose mail.web-solutions.dk. 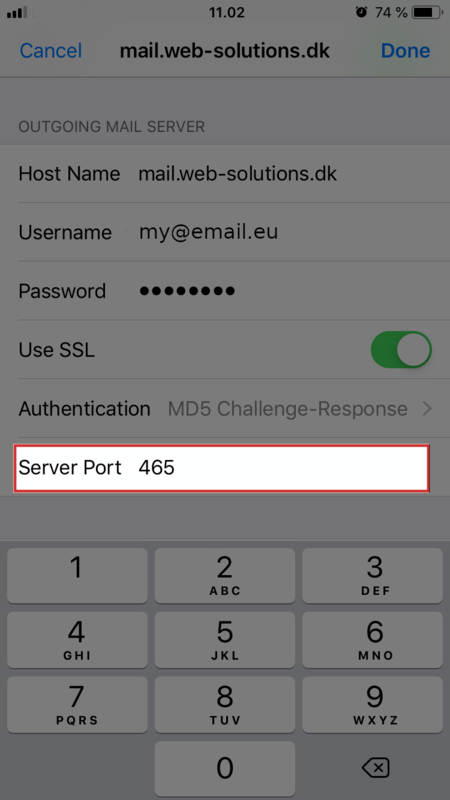 We recommend to change default Server Port to 465. 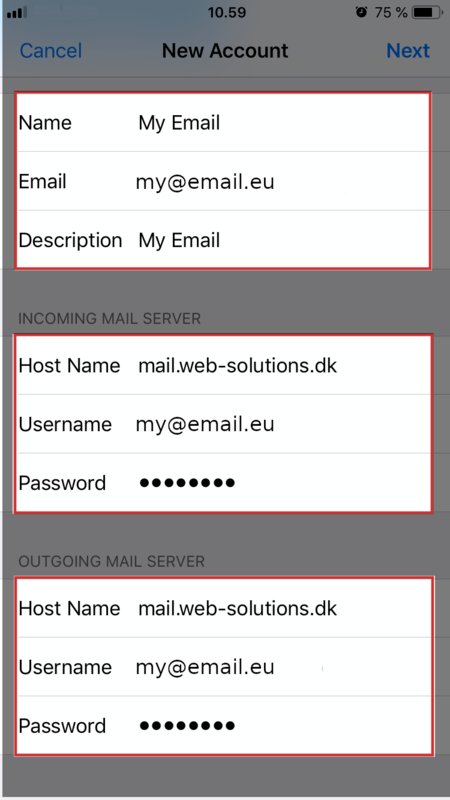 Press Done to finish configuration.